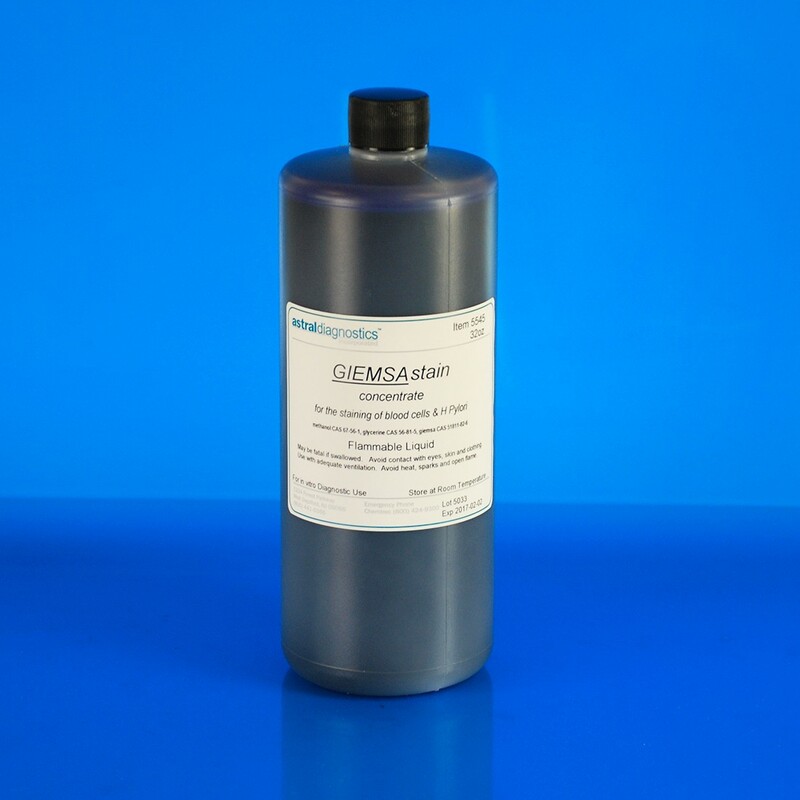 Giemsa Stain, concentrate | Polysciences, Inc.
A high concentration of Azure A in a 50/50 mixture of glycerine/methanol. Dilute to desired strength for final use. FDA approved for in vitro diagnostic use.